You should never feel as though you need to be pressured into buying any vehicle. This should always be a process where you are informed, comfortable and understand everything about the vehicle that you are buying. When you are shopping for used Chevrolet cars for sale in Kirkland area, you can get this great feeling after choosing Carson Cars for your dealership. Family owned and operated for nearly 50 years, Carson Cars has all of the experience and then some when it comes to finding the best vehicle to match up with our customer’s needs. Do you want a used Chevrolet car that is just right for a long commute? Maybe you are hoping for a used Chevrolet that is going to be just right for your growing family? Second vehicle, first vehicle, there are so many reasons why you could be shopping and the team at Carson Cars will be available to make your buying dreams come true in any situation. There is something special about being able to get behind the wheel of a used vehicle that comes at a great price and a warranty. All of the vehicles on the lot at Carson Cars come with a guarantee that you can count on for quality and dependability. This is because each one of the vehicles that we have for sale have been through a very involved inspection process to make sure that everything is in perfect working order prior to getting priced out for sale. 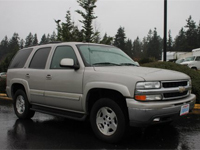 Buy your next vehicle with Carson Cars and shop used Chevrolet cars for sale in Kirkland. Call us (855)583-9356 today for selection and pricing information and then set up a test drive for your new to you Chevy car or truck!